We were specially invited to a timeless and luxurious Lunch at Deutz with amazing Vinothèque-wines. As one of the greatest high spots of the journey we would taste one of the very few remaining magnums of Deutz Blanc de Noirs d´Aÿ Vinothèque. 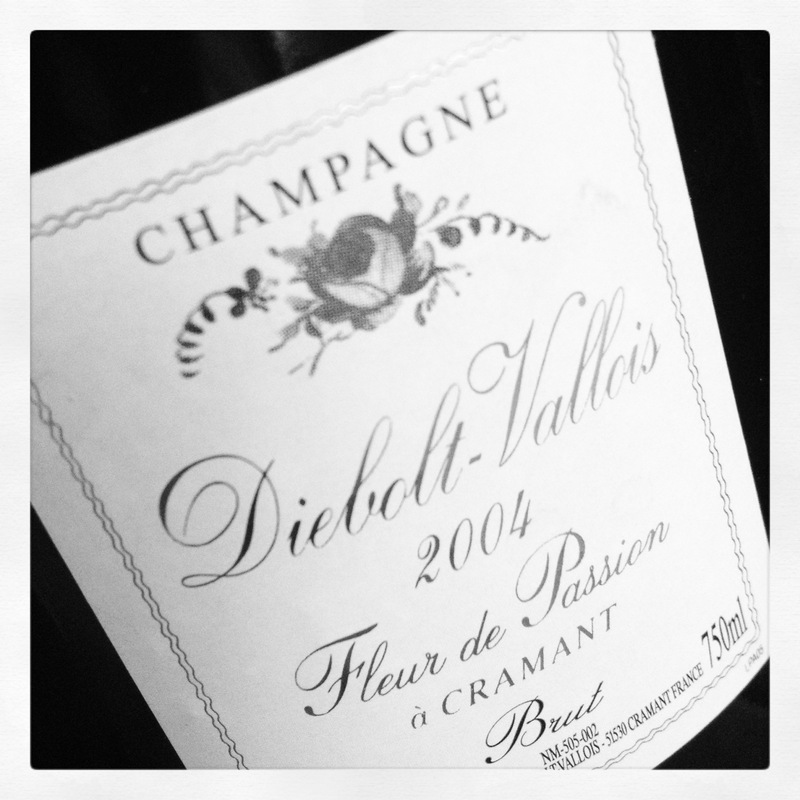 One of the best and most famous champagnes in the world with an auction price of 14 000 euros. RJ ON DEUTZ In 1838 two Germans, William Deutz and Pierre Glederman, founded this distinguished firm in Aÿ. Deutz was hit hard during the Champagne Uprising of 1911. The house was long run by André Lallier, who has made large investments in other wine districts. Notable among these properties are Delas in the Rhône Valley, Maison Deutz in California, as well as another site producing sparkling wine in the Loire Valley. In 1993, Louis Roederer gained a majority stockholding in Deutz. Nowadays the firm is ably run by the very likeable Fabrice Rosset. Winemaker is Michel Davesne. Seventy-five percent of the grapes are bought from grand cru and premier cru villages. Deutz themselves own land in five villages. 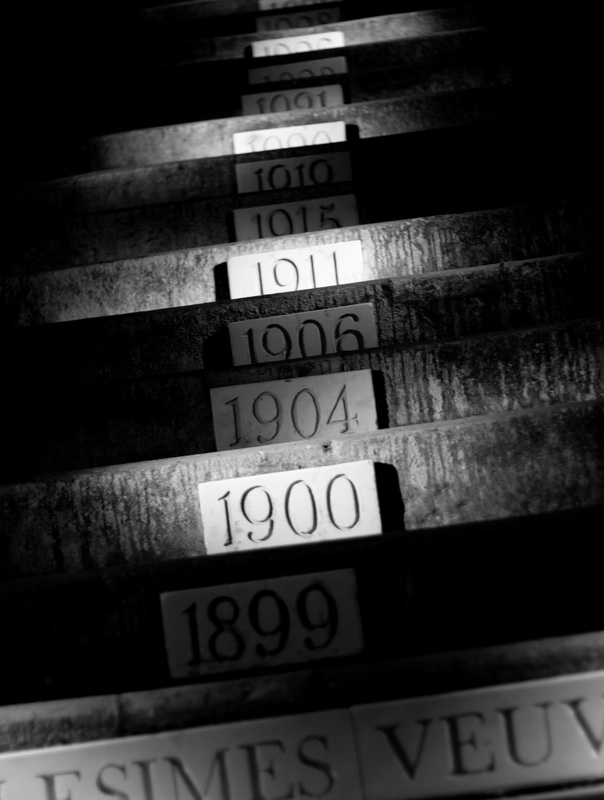 The property is among the most beautiful in Champagne, and even the wines are very distinguished. The style is laid-back, elegant, and sophisticated, with a medium body, crystal-clear fruit, and an exemplary mousse. All the wines are good, but the Cuvée William Deutz Rosé is something special. Their Vinothèque wines and the white William are also world class wines. Recently Deutz launched Amour de Deutz, a new ultra-sophisticated prestige Champagne. It has sold like hot cakes since Madonna took a liking to it—they say that there is always a chilled bottle ready wherever she goes.The 2002 is pure essence. One of my absolute favourite houses.In 1838 two Germans, William Deutz and Pierre Glederman, founded this distinguished firm in Aÿ. Deutz was hit hard during the Champagne Uprising of 1911. The house was long run by André Lallier, who has made large investments in other wine districts. Notable among these properties are Delas in the Rhône Valley, Maison Deutz in California, as well as another site producing sparkling wine in the Loire Valley. In 1993, Louis Roederer gained a majority stockholding in Deutz. Nowadays the firm is ably run by the very likeable Fabrice Rosset. Winemaker is Michel Davesne. Seventy-five percent of the grapes are bought from grand cru and premier cru villages. Deutz themselves own land in five villages. The property is among the most beautiful in Champagne, and even the wines are very distinguished. The style is laid-back, elegant, and sophisticated, with a medium body, crystal-clear fruit, and an exemplary mousse. All the wines are good, but the Cuvée William Deutz Rosé is something special. Their Vinothèque wines and the white William are also world class wines. Recently Deutz launched Amour de Deutz, a new ultra-sophisticated prestige Champagne. It has sold like hot cakes since Madonna took a liking to it—they say that there is always a chilled bottle ready wherever she goes.The 2002 is pure essence. One of my absolute favourite houses. TASTING NOTE From the start, extremely voluptuous, round and generous. Here are all the cute yellow-white dessert assiocitionS. Creamy sweet, meringue-like and light citrus exotic. Perhaps a bit too rich and ripe, but I think above all hope that the acid is sufficient for further development. TASTING NOTE The wine lives on a lovely generosity and also wonderfully delicious easy drinkability. A highly appreciated and popular wine. As usual, I grumble some about the lack of airiness between the various components of the dense 2005.vintage wines Brie de Meaux tone in the fragrance in some bottles. TASTING NOTE I’m not quite a grip on how some wines from the hills surrounding Aÿ has become extra powerful, dark and concentrated monumental one usually fairly easy and tutti frutti scented soft year. Clos des Goisses and even clearer in this wine ,illustrates what I mean. Wonderful! Unfortunately, some oxidation tons the last times. TASTING NOTE This wine that was too good to be sold and that is only intended for internal use has been made available for me to taste thanks to the generosity of Fabrice Rosset. The recently disgorged magnum is at its best after decanting and is surprisingly light in colour. Fairly soon the most beautiful Pinot aromas start to bombard one’s nose. Distinct layers of satiny-smooth strawberry essence, leather, liquorice, roasted nuts and gunpowder smoke make their appearance with accelerating strength. A masterly wine to follow for many decades in the future. TASTING NOTE The flowing rich vintage! What balance! What a prodigious Burgundy-like strawberry aroma and wonderfully generous softness! 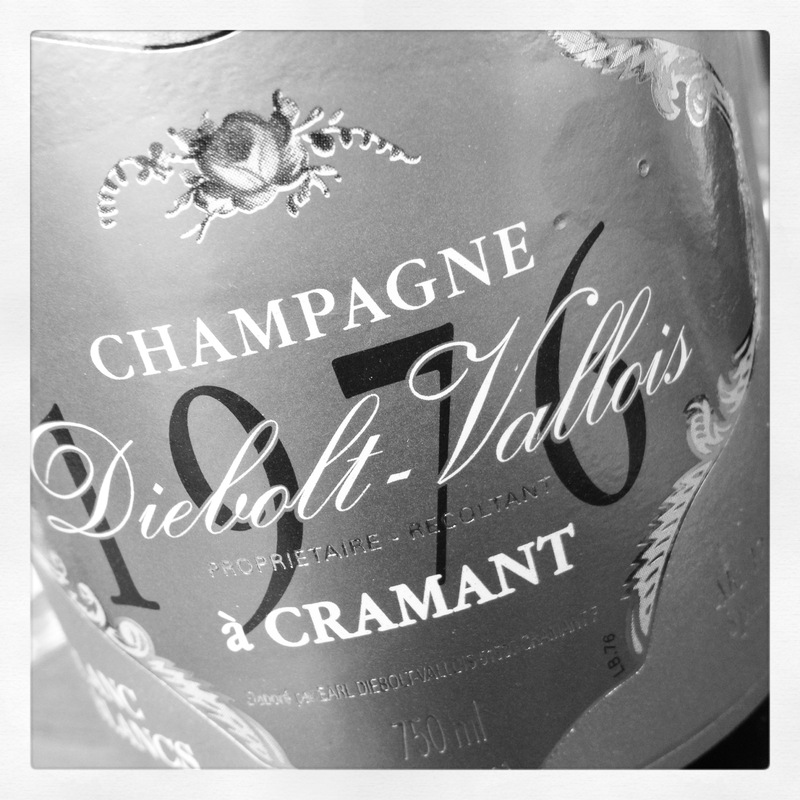 The bus left from Hotel L’Assiette Champenoise for Champagne Diebolt-Vallois @ 84 rue Neuve in Cramant. A huge tasting of Fleur de Passion and vintages down to 1953 Vinothèque conducted by Jacques Diebolt himself. RJ ON DIEBOLT Jacques Diebolt and his family are some of the nicest people I’ve met in Champagne, and the fact that they produce Chardonnay wines of world class doesn’t hurt either. 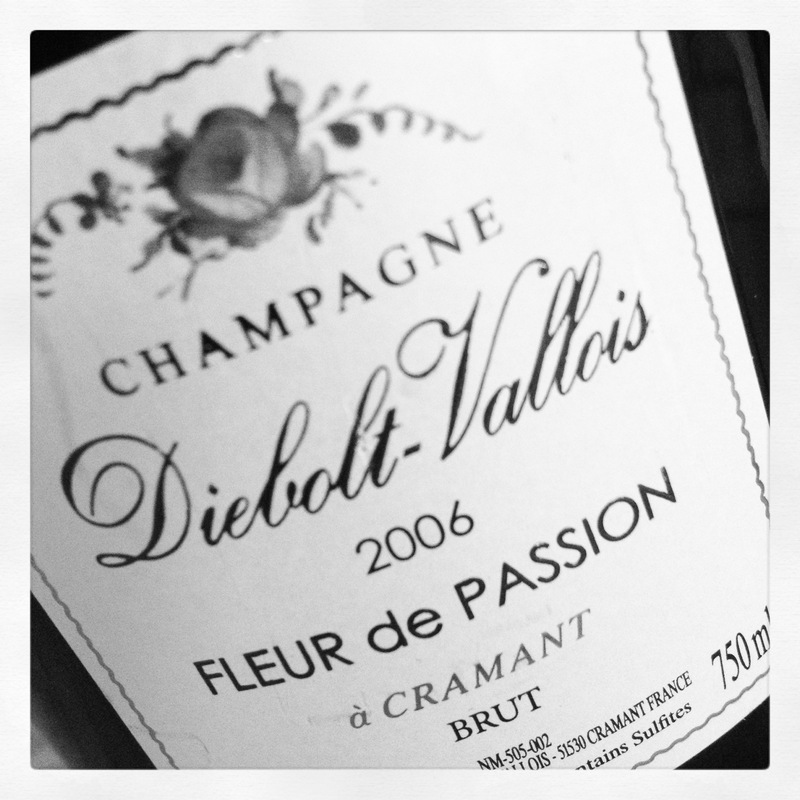 Several producers in the village make supremely enjoyable Champagnes, but personally I think Diebolt gives the cru another dimension, especially with those wines that haven’t gone through malolactic fermentation, and which were harvested from the sixty-five-year-old vines in Les Pimonts or Les Buzons. There is a thought-provoking depth reminiscent of Le Mesnil, combined with Cramant’s creamy structure. Unfortunately, the demand for Diebolt’s wines is so great that they are forced to sell the Champagne far too early. 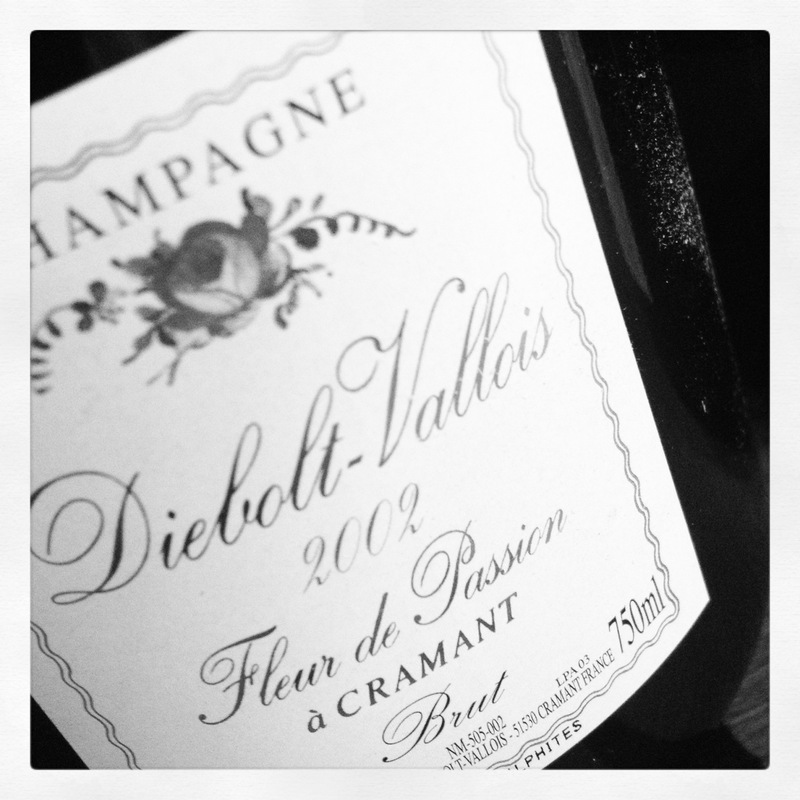 Diebolt was an unknown name before the firm was awarded Champagne Producer of the Year in 1992 by the magazine Gault Millau, but since then the connoisseurs of the world have fought over their bottles. RJ ON FLEUR de PASSION Jacques’s most recent inventions are Fleur de Passion some of the foremost young Champagnes I have tasted, and the ’53 and ’61 are already legendary. Terribly close to five stars because everything Diebolt does is perfect in its way. 2002 Fleur de Passion will become a legend. TASTING NOTE Pre-release-tasting. Despite its extreme youth a great wine today full of beautiful pear-dominated fruit and delightful oak-oriented Montrachet tones. TASTING NOTE Pre-release-tasting. Pre-release-tasting. Slightly more rustic and today it feels more oaky than normal at this stage. Here are some nice acidity and one for the vintage impressive richness of extract, but the balance is not what would be expected. TASTING NOTE Considerably weaker oak influence than usual. Throughout the entire experience is a steel like purity and a delicate youthful aroma of yellow plum and yellow apples. Beneath the surface lurks a depth of vanilla and spices . Certainly this enjoyable, but given how rare these bottles are, they should be stored at least five years after the launch to convert the volatile floral unit to classical nuttiness. TASTING NOTE Naturally a very difficult wine to assess when we kidnapped it on its third birthday. The structure and the rich, fluffy fruitiness make me convinced that this essence-like wine is going to be wonderful. Rich and fresh. Slow development for being a 2005. TASTING NOTE Young and graceful with chiselled elegance and floral beauty. Some oakiness starting to emerge. Suddenly grand and a year later rocky and mineral salty. TASTING NOTE Extremely young and floral with a massive oakiness and great seriousness at present. Tough acidic. Beautiful roundness started to develop summer 2010. Later more toasty, almost pinot-like smokiness. TASTING NOTE Disgorged Dec10th’04. One of the vintages that Jacques has bought from Guy Vallois—in other words, a pure Cuis disgorged by Diebolt during 2003 and dosed with three grams of sugar. Up until now, the wine has behaved completely differently on the occasions I have tasted it. The first time, elegance and floweriness were the focus and the points were way over 90. The second time, the Champagne was unattractive and slightly clumsy, with certain coarse mature notes, despite a medium-deep color and good mousse. The trilogy of ’85, ’79, and ’76 is fascinating because the wines are still undisgorged and they truly allow the taster to see how individual bottles develop after this much contact with the yeast residue. TASTING NOTE Disgorged Jun17th’05. This is a great wine that comes from Guy Vallois in Cuis, but which has been disgorged and dosed by Jacques Diebolt and thus carries his name—that’s how strange the laws in Champagne are. The wine is deliciously butterscotchy and exotically rich with tons of browned butter and créme-brûlée tones. Big and impressive, as you would expect from this warm year. In regular bottle a bit up and down but in magnums really great and consistent. TASTING NOTE I’ve been present several times when a producer has opened a new bottle of the same vintage because he wasn’t satisfied with the first. Jacques, on the other hand, is the only one I know who opens a new bottle in order to show how bad the wine can be! At its best the ’61 has a fantastic, almost Pinot-like nose of truffles, decaying autumn leaves, barrels, and boiled vegetables, while the other he opened was more like mushroom soup. The structure was impressive in both, however. TASTING NOTE This bottles was disgorged à la Volée. One of the best Champagnes I have tasted. Drunk newly disgorged, undosed, in Diebolt’s cellar. The wine was made in oak barrels without malolactic fermentation. The color was brilliantly, beautifully golden. The bubbles continued to wind their way up the glass two hours after the wine was poured. The nose was given the maximum numbers of points! The entire wine was like a grand symphony by Sibelius—full of sadness, joy, nature, and romance. The freshness and playful ease, combined with the wine’s length, were exceptional, but the nose’s complexity was probably the most impressive part of the Champagne: coffee, treacle, bergamot oil, brioche, walnuts, limes, and passion fruit were the clearest aromas. A disappointment at the Millennium Tasting. Large bottle variation. At 6 pm we had a grand welcoming at the most splendid mansion in Champagne, Château Saran and check-in for all in the group. Apéritif followed by Dom Pérignon dinner and last night champagne party. TASTING NOTE Has won yet to be in contact with the lees even longer. A further shift in this masterpiece. Put the magnums away magnum and drink from 2025. IN bottle it’s already sweet with a strong seafood elements, classical toasty, nutty richness backed by a senseless acid and length. TASTING NOTE Richard Geoffroy’s first vintage. During a big Gala night full of celebrities in London in 2004, several bottles exhibited problems with their corks and a mineral-laden introversion that few of us had expected. The finer specimens had an exciting nose – sea water, oyster shell, minerals, and spices. The taste was dry, anorectic, and clear as a bell, but will become seductive again in its next phase of life. TASTING NOTE Richard Geoffroy’s first vintage. Incredibly stylish and a marvel of yummy richness wrapped in velvet. Deep Burgundian, and an almost religious experience on magnum of Château Saran. TASTING NOTE Fabulously chewy and powerful with an indestructible power and a layered richness. Multifaceted nose with an elusive, almost flowery undertone and beautifully nutty, toasted, and honeysuckle elements. An embracing richness is combined with a fleshy, soft sensation in the mouth. The twist exudes ruby grapefruit and coffee-flavored candy. In April 2014 some signe of decline in 5 bottles opened. A phase or slow way down the hill?